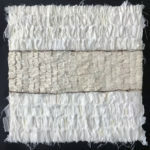 Megan Klim is a mixed media artist who lives and works in Jersey City, New Jersey. 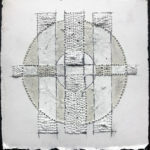 She received her MFA from Cranbrook Academy of Art in the discipline of painting. 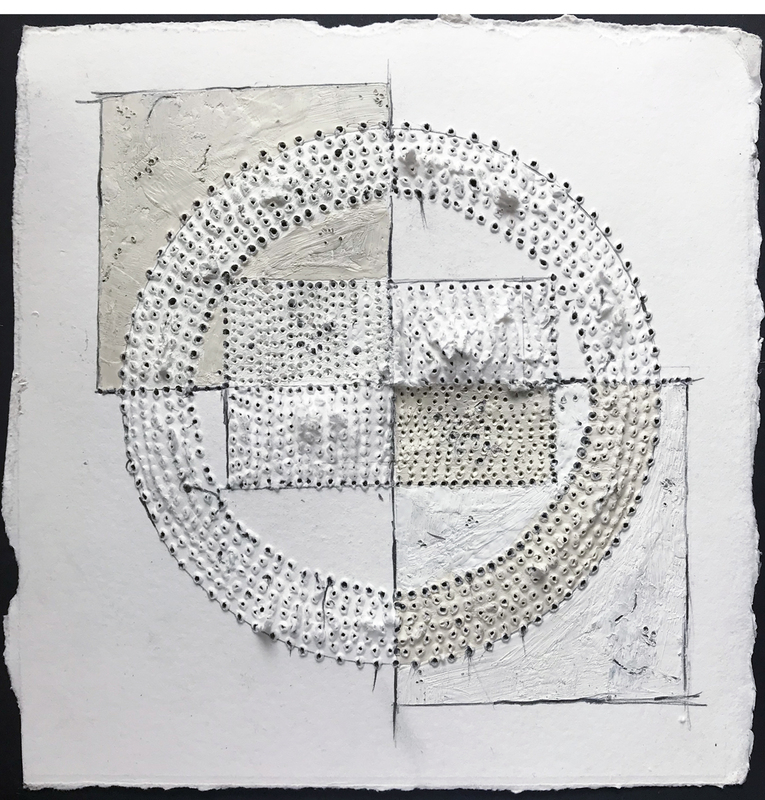 Her mixed media work juxtaposes several materials on one picture plane highlighting their inherent qualities to create surface tension thus sparking a conversation and interaction between them. 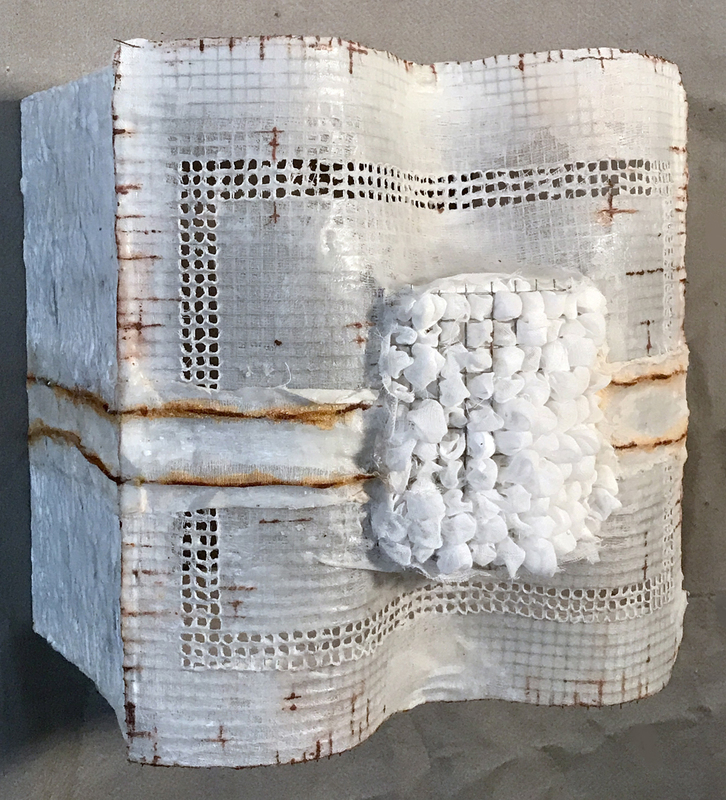 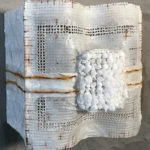 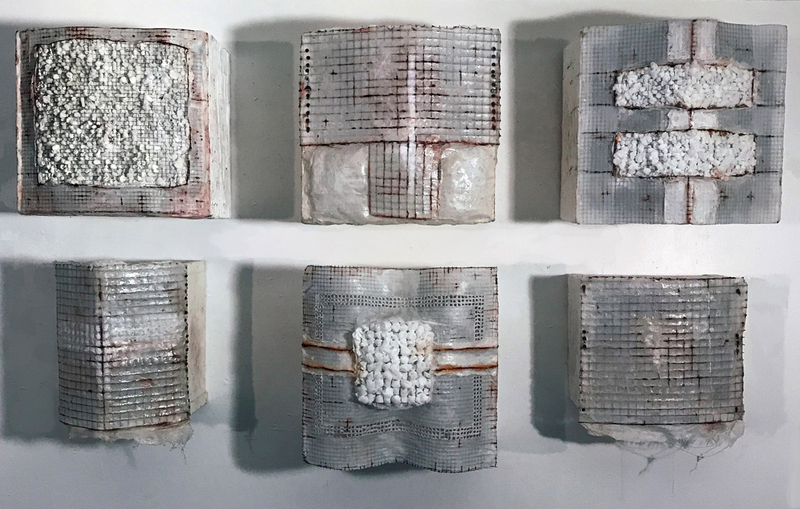 A physical presence is apparent in her pieces from textured encaustic surfaces, punctured paper to grid like structures mad of thread, wire or cloth. 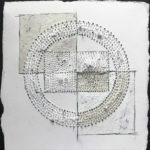 Klim’s themes usually reference the idea of an internal/external as well as structure vs. gesture. 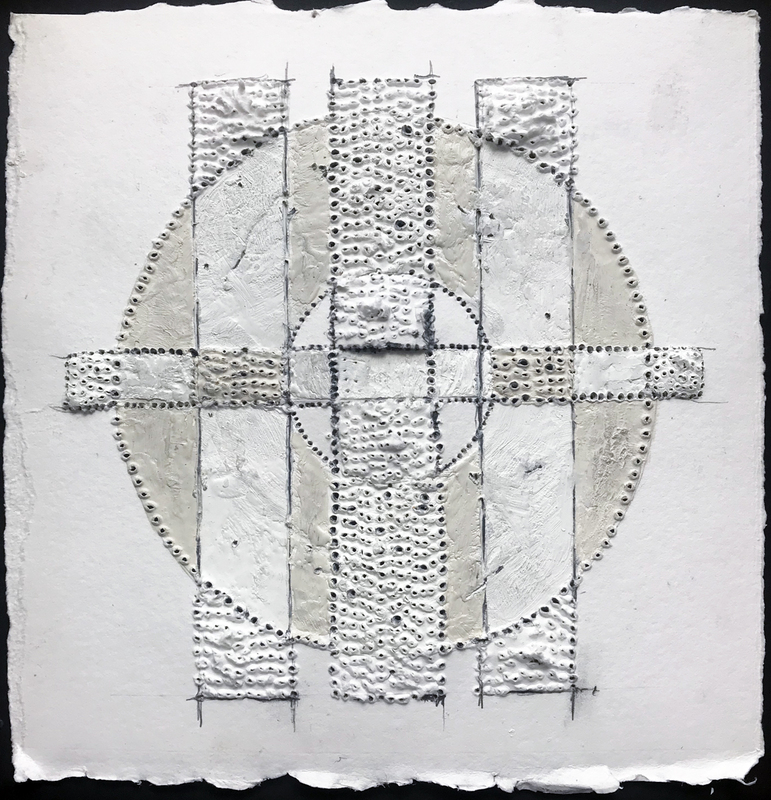 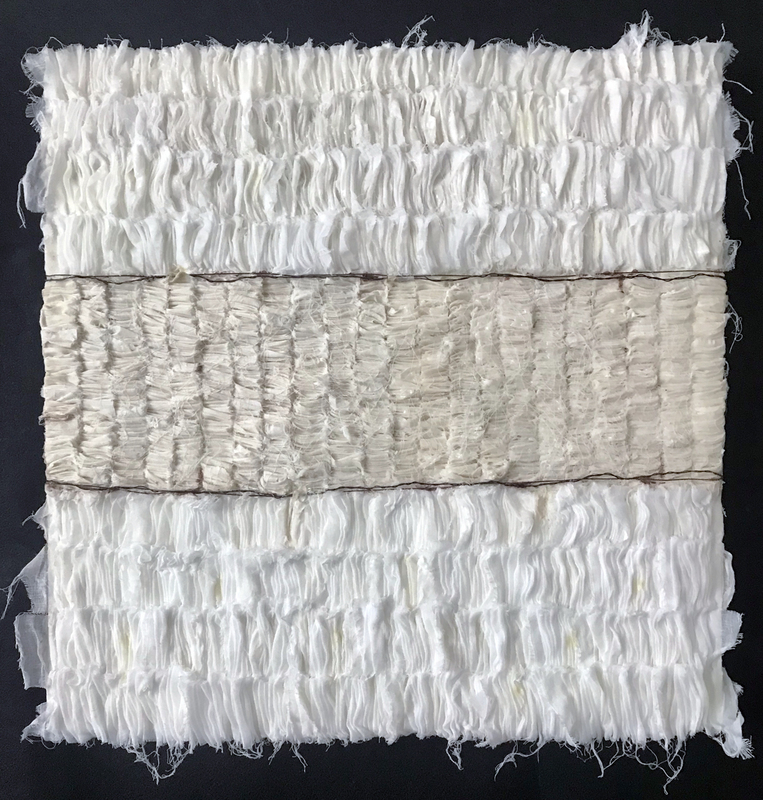 Through her use of pattern or repetition, she reflects upon human individuality while also offering a tactile visual experience. 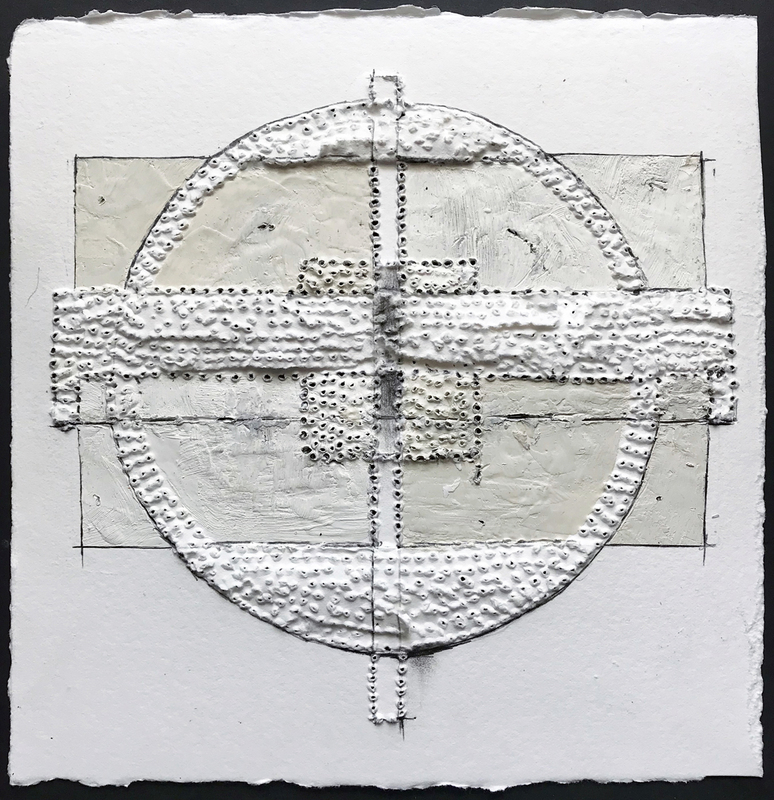 It is her goal that through the tangible an ethereal space is created and felt instead of just seen. 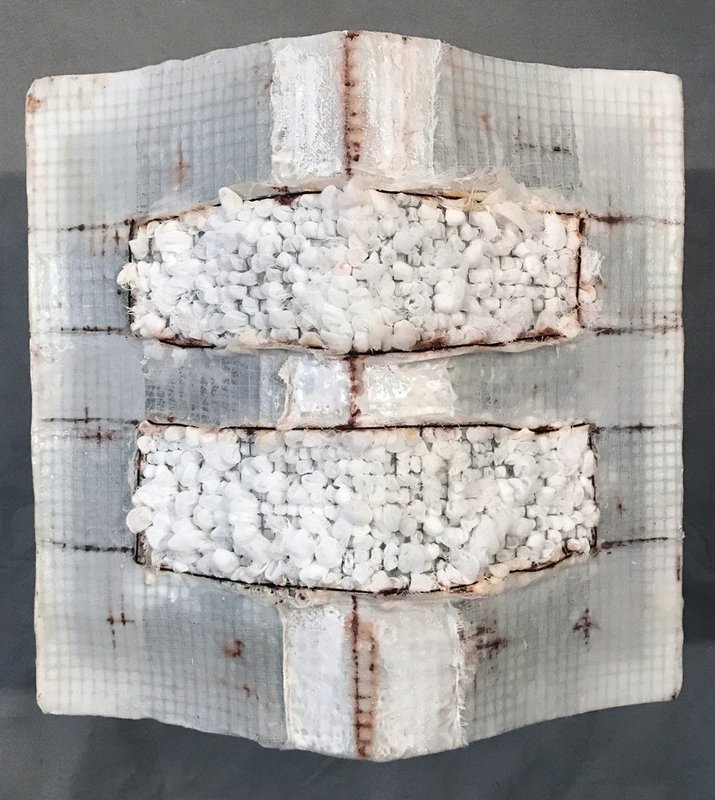 Klim has exhibited in NYC, NJ, MI, PA, FL and has received numerous awards. 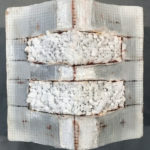 Her mixed media pieces have been seen at ART BASEL, Miami as well as in several museums. 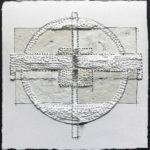 Pro Arts Jersey City is a professional membership community dedicated to advancing and promoting artists and their work.